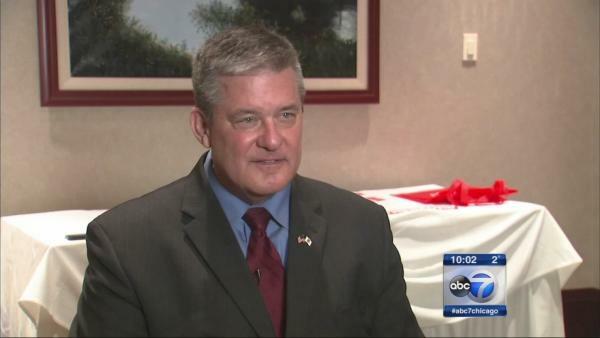 SPRINGFIELD, Ill. -- A sexual harassment lawsuit that tanked the political career of former state Treasurer Dan Rutherford was dismissed Wednesday in federal court in Chicago. Court records show both sides agreed to end the 3-and-a-half-year-old action. U.S. District Judge Joan Lefkow dismissed the case "without prejudice" - meaning the plaintiff, former Rutherford employee Edmund Michalowski, can return to court with a fresh complaint. Filed just weeks before the 2014 Republican primary for governor, the lawsuit sent Rutherford spiraling from leading contender against the independently wealthy Bruce Rauner - now governor - to an also-ran in a field of four. A message left on Rutherford's cellphone was not returned Wednesday. Messages left for attorneys for Rutherford and Michalowski also were not returned. Rutherford hired Michalowski, a Democrat, in 2010 upon his election as state treasurer, moving up from a decadeslong legislative career. In his lawsuit, Michalowski cited six instances in which he claimed Rutherford made unwanted sexual advances or comments from 2011 to 2013. They included an overnight stay at Rutherford's Chenoa home after a work meeting in which Michalowski claims his host entered his room and touched him sexually. He said he repeatedly complained to top Rutherford aides but was labeled a troublemaker and passed over for promotions. Rutherford tried to blunt the force of the coming lawsuit in a dramatic January 2014 news conference in which he claimed that an unnamed accuser had tried to extort Rutherford for $300,000 to keep quiet. The lawsuit followed shortly after and initially also made racketeering allegations that Rutherford ran his taxpayer-financed treasurer's office as a campaign operation, forcing Michalowski and others to do electioneering on state time. That charge was dismissed as unsubstantiated in February 2016. In May 2016, Rutherford's successor, Democrat Michael Frerichs, released to The Associated Press a previously confidential investigation into the allegations. The report by Ron Braver & Associates, hired by Rutherford when he was made aware of Michalowski's allegations, found no evidence of harassment or retaliation. The Braver report contended that "rumors that Mr. Michalowski may be let go from the treasurer's office after the primary elections play a role in coming forward with these serious allegations and the allegations appear to be released to influence his current election."